Water Club Toronto, three architecturally distinct towers that rise between 27 and 37 stories, is located in Toronto’s popular entertainment district. 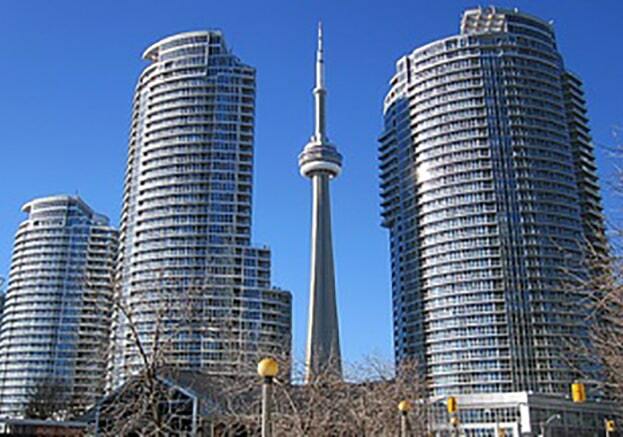 Each urban residence offers spectacular views of the city or Lake Ontario. An indoor pool and 24-hour fitness center are available exclusively for its residents. This prestigious waterfront address is conveniently located within a 10-minute walk of The Path, CN Tower, Rogers Centre, Ryerson University and Hockey Hall of Fame.